Children don’t need to suffer from boredom in kids church. There’s no shortage of old curriculum available. 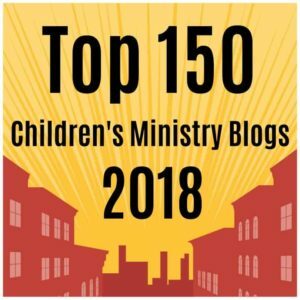 In fact, at a recent Children’s Ministry conference, when Children’s Pastors were alone in a room and able to talk freely, they openly admitted that what was missing and what they truly wanted in a kids church curriculum is that it would be fun! Fun + Biblical is not a contradiction! 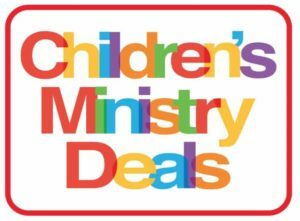 Children’s Ministry Deals is catching on, because they’re using things kids are already excited about to help teach them important lessons from the Bible. Cereal 12-Week Children’s Ministry Curriculum uses kids’ favorite cereal to teach them fun Bible lessons. 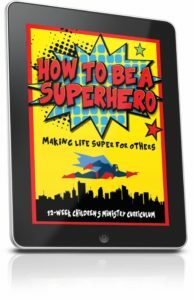 They make Children’s Ministry curriculum for Children’s Ministry leaders who understand that simple truth. They make curriculum that teaches kids the Bible in a fun way. This is the kind of curriculum that will engage everyone involved…from the Children’s pastor, to the volunteers, to the kids, to the parents, to the people helping decorate for the series. This material is excellent for elementary church aged kids. However, a good teacher could easily include preschoolers (or even preteen ministry). This Bible studies have everything you need to launch a fun new program every several weeks. I hope you can check out their newest kids church curriculum today. If you’ve already used their material, please leave a comment below to share your experience with this resource. Don’t forget they let you download free sample lesson of each of these units. Thank you for your regular messages. Please, never give up in serving the Lord in this manner. However, I’d just like to bring a little note to your attention. (No biggie – just thought it would be interesting to note). As you are probably fully aware; here, in Africa, we distinctly identify baby sheep as a lamb, and baby goats as “kids”. We have noticed that some of our children actually take offense at been called a “kid”; which in reality I can see why – we are God’s sheep, not His goats. As I say, this is not a biggie. It just makes me smile and think of our few little lambs every time a Children’s Ministry team refer to ‘kids’ or “Kid’s Church”. Bro. Tony, I am doing the Armour of God right now and I really like all the material and the kids are having fun with the crafts that you have. I want to thank you for all the e mails you send for all kids lessons. It is really very helpful and God Bless you, your family and your ministry. Tony Kummer (Editor) reviewed & updated this page on : August 30, 2016 at 6:45 pm. All our content is peer reviewed by our readers, simply leave a comment on any post suggest an update.